Scooter rental Málaga, malagarental is a company where you can rent scooters and Bikes.Our prices include helmets, insurance,lock,Top case. scooter rental malaga can be a fun way to visit the city. 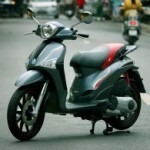 Rent a bike or scooter can help you to avoid parking problems or traffic jams. It also helps you to arrive anywhere faster and on time everywhere. The best way you have to visit the “Costa del Sol” would be hiring a motorcycle to find out the most beautiful and hiding spots in the down town and its surroundings like known town or village near Malaga. Villages such as Estepona ,San Pedro de Alcántara ,Ronda, Benahavís,Marbella y Puerto Banús, Fuengirola, Mijas, Benalmádena o Torremolinos in west Coast whereas in east Coast you must look round we offer Pedregalejo,El Palo,La Cala del Moral ,Rincón d￼e la Victoria ,Torre del Mar,almayate,Vélez-Málaga,Torrox,Frigiliana,Nerja or Maro. Inside towns like Ronda,Archidona, Antequera,Casares,El Borge,Teba,Álora. Here is possible taste a wonderful Mediterranean cuisine , visit lots of landscape with a magic scenary between the Sea and the Mountains. Moreover ,you are offered a variety of activity to do in your free time , for instance: playing golf , go to the museums , sunbathe, go out…or perhaps water sports.In a short and quick time can enjoy a comfortable and differently holiday. The most economical and fun way to explore the city, go to the beach or get anywhere in time. In a short and fast time can enjoy a comfortable and different holiday, all our scooters have third party insurance, lock and helmets. Scooter rental malaga, Reserve your scooter or bike and decide the meeting point or collection point SO EASY!